Childhood is supposed to be a carefree time of innocence. Sadly, that is not the case for all too many children. They are so fragile and life is getting more and more challenging. Even adults are struggling to make sense of so much going on around them. Though researchers are not really sure why, the fact is, more children are taking their lives. This USA today story looks at this very disturbing trend, explores some of the causes and talks about some of the things that can be done if you fear your child is at risk. Not surprisingly, one of the factors noted is bullying. We know it is a problem. Adults must demand a zero tolerance policy in our schools and communities. 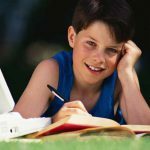 We must do all we can to help our children develop strong self-confidence, self- esteem and personal boundaries, so that they feel empowered to stand-up for themselves if they are bullied. We can continue to work hard to eliminate bullying, but in the meantime, we need to help our kids with the skills they need to stand up for themselves. 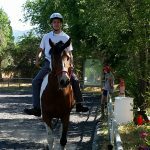 Through work with horses, Nevada Equine Assisted Therapy helps children as young as 4 see that they can be strong and capable leaders. 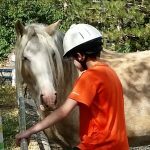 They learn to set good boundaries to keep themselves safe while working with their horse. We help children learn how to make better decisions and how to communicate what they want and need effectively. We need to listen to our children and truly hear what they are telling us. If you believe your child is being bullied make a stink! There are laws that will support you as you stand up for your child. Seek help if you feel your child is in danger of harming themselves. We are here to help. Give us a call or send us an email. We can arrange a tour, show you around the ranch, introduce our wonderful horses, learn more about your concerns and share how we may be able to help. This entry was posted in ADHD, Anxiety Disorders, Bipolar, Children's issues, Grief, Mental Health, PTSD, Trauma. Bookmark the permalink.